Recently Acuvue approached me to do review for their latest ACUVUE® ADVANCE® PLUS which is an all-new bi-weekly contact lenses with HYDRACLEAR® to provide optimum eye comfort for first time wearers. 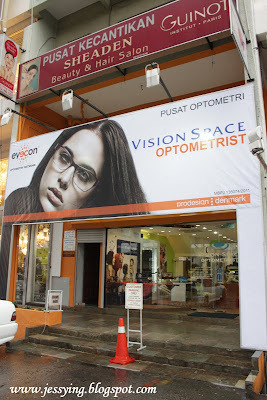 And before I was provided with the contact lens for review, I was invited to go try and tested contact lenses via an exclusive and personalized eye test session at Vision Space Optometrist in Damansara Utama. And I wanted to blog about this to share with you guys here about the importance of taking good care of our eyes and contact lens if you are wearing one! 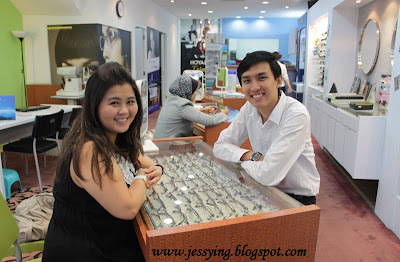 This is Mr. Aw, a qualified Optometrist who attended me . And next he conducted the most comprehensive 2 hours eye test on me where I was being "educate" how to take care of my eyes. And it is truly an eye opening session for me. First I did a vision test where, this is the most common eye check provided by most optical shop where it is used to evaluate eyesight. They measure the eye's ability to see details at near and far distances. Looks like pirates eh ! And coming eye tests that I did can be done by a qualified Optometrist and not Optician, as an optometrist was qualified to examine eyes for defects or faults of refraction, and conduct tests such as measurement of visual acuity and refraction, visual field screening, and measuring intra-ocular pressure while Optician's job was to dispense spectacles as prescribed by the optometrists. However in Malaysia, we are lacked of Optometrist hence we can see that Optician are conducting the basic eye tests here. Read an interesting article here. 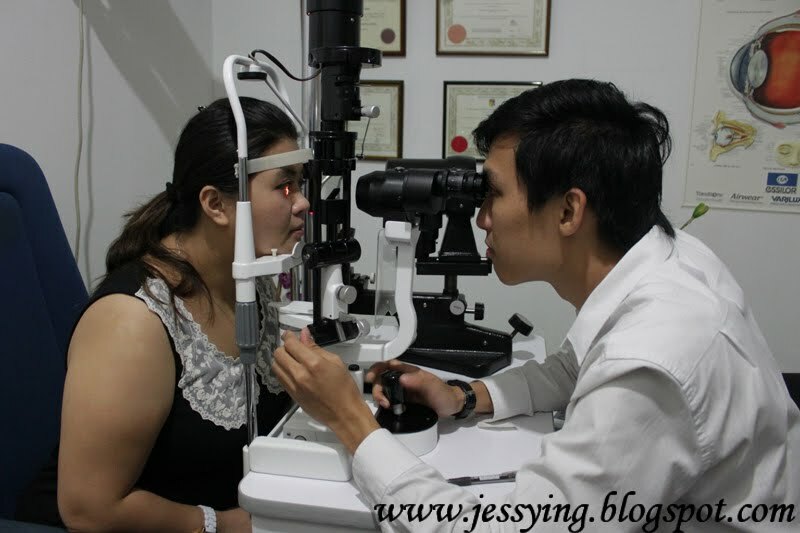 He started by using Slit Lamp Biomicroscope where it is used to screen eye's health condition at the front part of the eyes, whether is there any infection, swelling, dryness, injuries and etc. Look at the chart above, from the left (healthy) to the right (serious condition). Kinda scary when I looked into details this chart. And according to Mr. Aw many people has serious eye problem because of the hygiene in handling contact lens and lack of oxygen in eyes after wearing contact lens. And he shared to me later how Acuvue Advance Plus is different from other contacts lens in the market because of the material they used. I will write about this a bit later! Speaking about hygiene, do you know that we suppose to change the contact lens solution in the case every 2-3 days even when we are not wearing it so that would kill the gems! Okay back to the eye test.Mr. 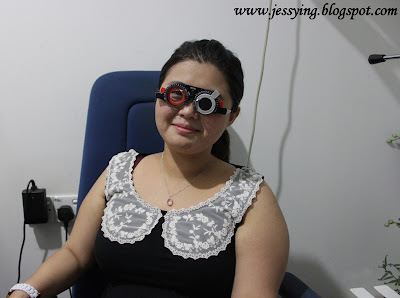 Aw then used Keratometer, a machine which is used to measure the curvature for the cornea (which is the front transparent part of our eyes) which is essential in fitting in contact lenses so that we know which base curve lenses to wear. And this is the first time I came to know that my eye's cornea base curve average is at 7.3mm. Also I realised that nowadays many optical shop just sell the contact lenses without giving any proper consultation and did not even asked what is my eyes base curve. And most of the time, the bigger base curve lenses was given to the buyers as these are the more common one. For ACUVUE® ADVANCE® PLUS contact lenses with HYDRACLEAR® it comes with two different base curve for our eyes, one is 8.3mm and another is 8.7mm. 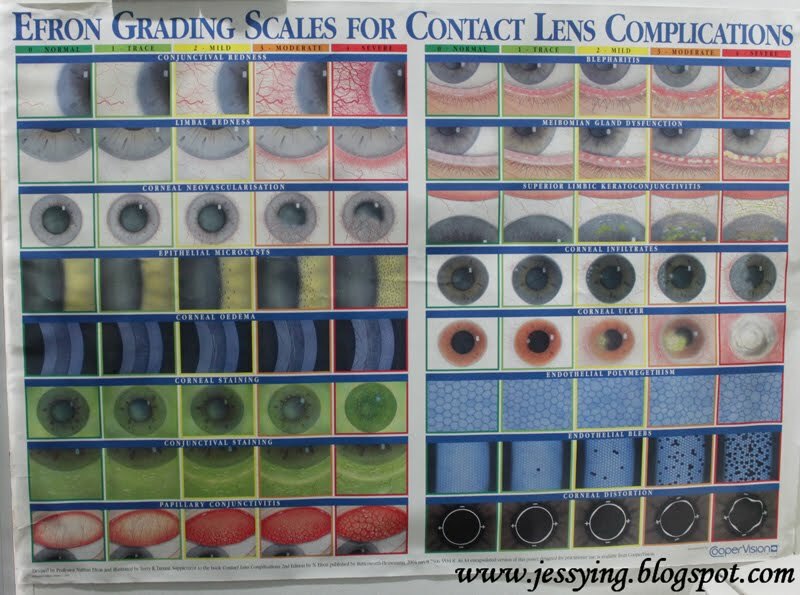 And I should be getting the 8.3mm base curve one so that it fit perfectly on my small cornea eyes. 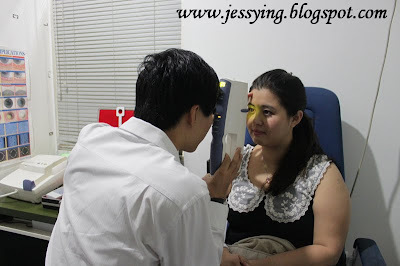 Next he used Tonometer , where it is used to measure the pressure of our eyes with a light air. And if there is high pressure in our eyes, there will be high risk that of glaucoma. It is an eye disorder in which the optic nerve suffers damage, permanently damaging vision in the affected eye(s) and progressing to complete blindness if untreated. 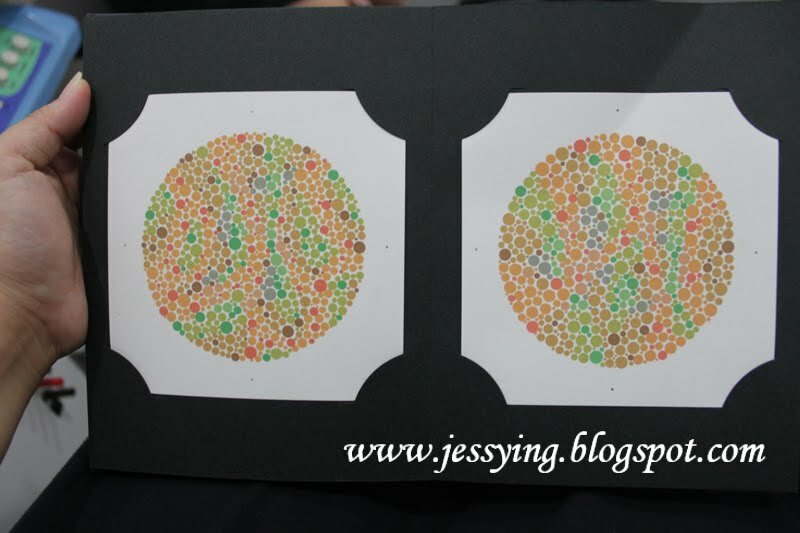 Here comes the fun part where I was checked if I have colour blind. Can you see the above number? 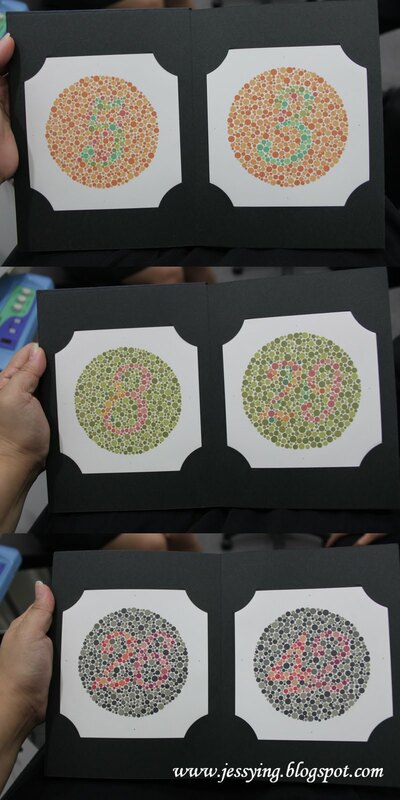 Until I was showed this and I was figuring out what is the number ! Actually there is no number in this picture, and this test is usually used on children to see if they are lying about colour blind. 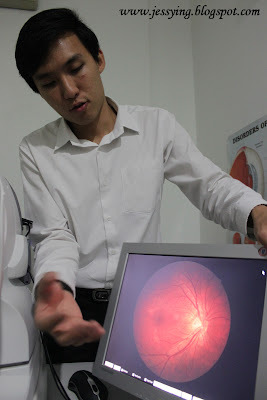 And this is a Fundus/Retina Camera where it is used to capture photo at the back of our eyes (retina) to check for retina related diseases such as glaucoma, macular, degeneration, diabetes retinopathy, retinal tear and etc. And if you have looked closer at the picture, you will actually see Canon DLSR camera was attached at this machine and I was told this machine price is equivalent to a new Honda City car (i.e roughly RM90k) . 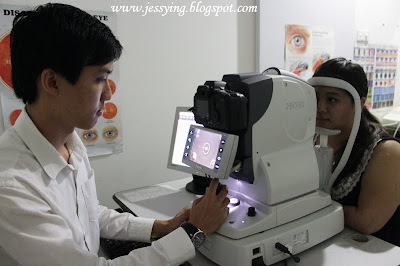 And usually you will see this super cool machine when you see an eyes specialist but here Vision Space also have one! Check this out, my retina is pretty clear and no bleeding! And Mr. Aw a professional optometrist actually suggested Acuvue Advance Plus contact lens to me as the lenses material they used is Silicone H as supposed to Hydrogel which can give less than 20% oxygen to our eyes. Silicon H is a new material which can gives 90% of oxygen for contact lens user. And I will review Acuvue Advance Plus contact lens soon after I I have wear the bi-weekly lens for exactly 2 weeks. 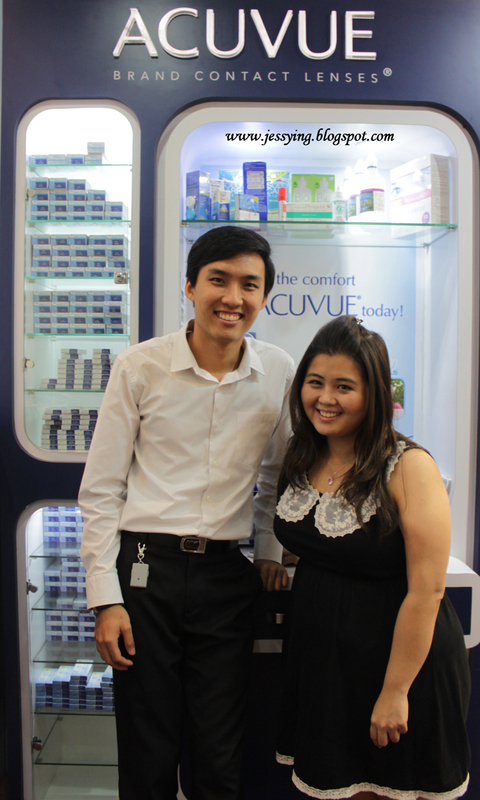 Thank you Acuvue and Vision Space Optometrists for giving me this opportunity to know more about my eyes! So stay tune people for next post for my review on Acuvue contact lens and meantime do go for your eye check like how I did to make sure your eyes are healthy and beautiful! I love my Accuvue Dailies! Very comfy! 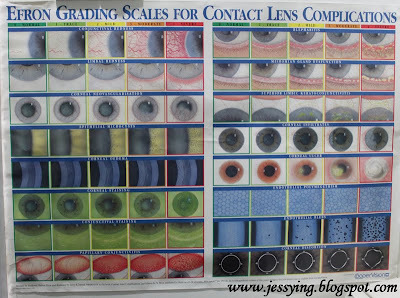 wow it's great that you could have a thorough eye-check, I'm well over due for that! Waah~ I wanna try one for free too! hehe. Wow, a very thorough education session here! Nice!! !